There is something amazing about watching someone you’ve helped nurture succeed. Parents feel this pride all the time as their children learn some new skill, or set out on a new adventure like learning to play t-ball or heading off to college. In the business world, this type of pride takes the form of watching your customers find revenue-impacting success by using your solution. And over here at Lattice we’re bursting with pride in 2017! We just finished a two-month sprint where we attended four different conferences, and six of our customers spoke on stage about their success with predictive. What I love the most is that each of their stories was unique, it ran the gamut from teams who were using Lattice to improve their retention rates, to teams who were accelerating their account-focused programs with predictive. Citrix: VP of Global Marketing Operations, Strategy and Planning Lea Ann Eblin and her team at Citrix have been so successful with predictive that they won a Program of the Year award this year at SiriusDecisions Summit! She and her team needed a data-driven way to determine the quality of inbound leads and create a streamlined way to create sales plays – both of which would improve the quarterly sales event that Citrix teams undergo to drive as much pipeline as possible. 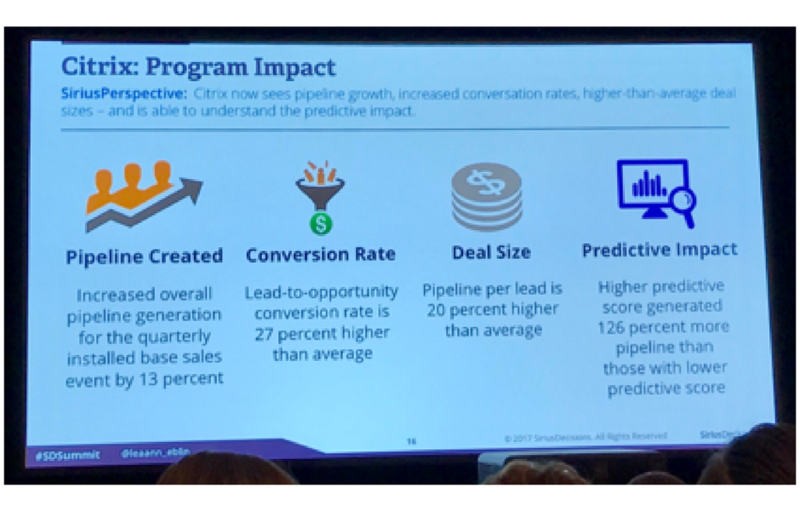 After deploying Lattice, Lea Ann’s team was able to increase pipeline created at the quarterly sales event by 13%, and the pipeline per lead was 20% higher. Comdata: We met VP of Marketing Josh Raymond at the 2016 SiriusDecisions Summit, so it was extra special to have him up on stage presenting his predictive success at Summit in 2017! His company, Comdata, sells financial services and solutions, so every company is a potential customer. He needed a way to prioritize sales and marketing outreach, to ensure teams were being hyper-efficient with their time and program dollars. He chose to deploy Lattice to score and enrich the accounts in their database, and after just a few months of having Lattice, the ‘A’ accounts are closing at 2x the rate of the ‘D’ or ‘F’ accounts, and have nearly twice the revenue value! 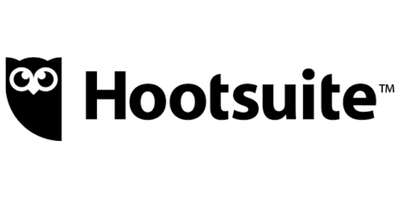 Hootsuite: The Hootsuite team and VP of Demand Generation Gary Amaral have been Lattice customers for over two years, and they originally needed predictive analytics to help them prioritize their inbound leads. However, in the past few months they’ve started shifting parts of their marketing organization to be more account-focused, and they’re finding even more uses for predictive insights here! They utilized Lattice’s platform to define their target account list, and are now using predictive insights to help identify concentrations of high value accounts where they’ll hold regional events, as well as using insights and scores from Lattice to serve up customized advertising to target accounts. We can’t wait to see what kind of targeted programs they come up with next! 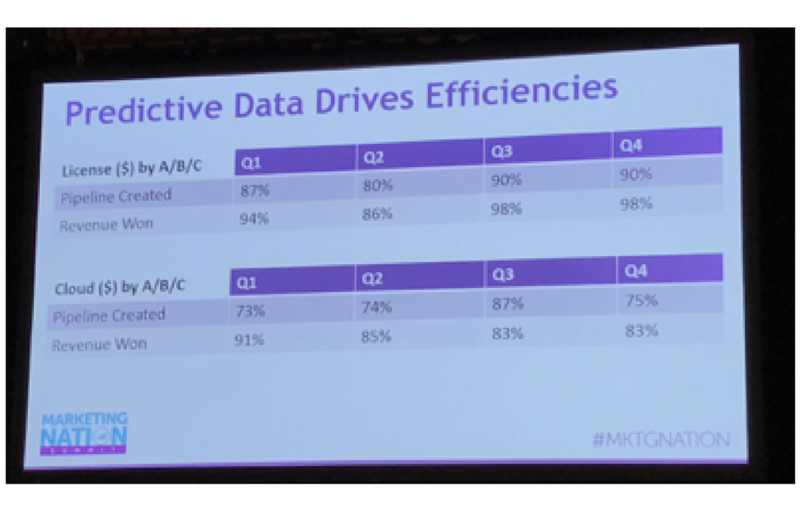 Informatica: The team at Informatica is well known in the marketing world for having one of the most advanced data lakes in the business, so we were thrilled when VP of Marketing Ops Laura Wang discussed how her team has integrated Lattice’s data into their lake, at this year’s Marketo Summit. Lattice’s insights are not only a key part of the data that lives in their lake, but the information is integrated into the programs her teams are running. By focusing their efforts on the top 20% of accounts and leads, the Informatica team has seen amazing results to drive increased pipeline and revenue! 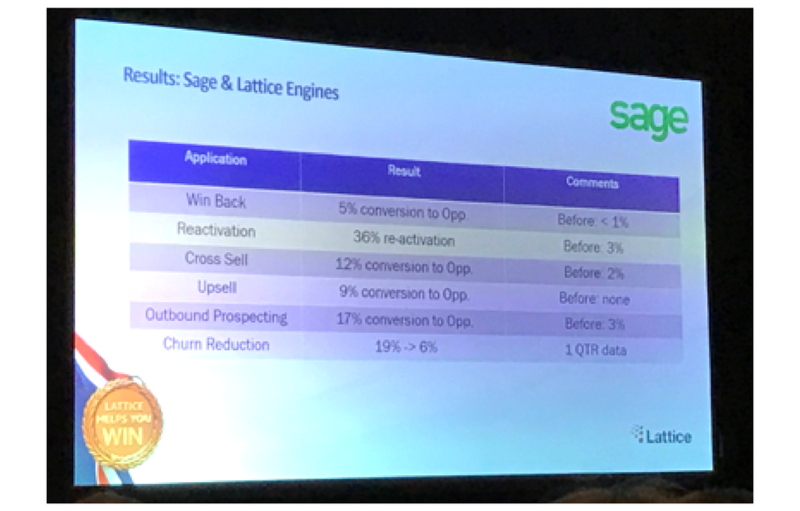 Sage Software: VP of Integrated Demand Marketing Miguel Gernaey is a repeat Lattice customer, as he used us during his tenure at Dell. Once he moved over to Sage and realized the enterprise software company needed to prioritize multiple product lines, he knew who to call. He brought Lattice in, and created a multi-touch, multi-stage custom nurture program based on product lines, designed to revitalize a database of over a million inactive customers. 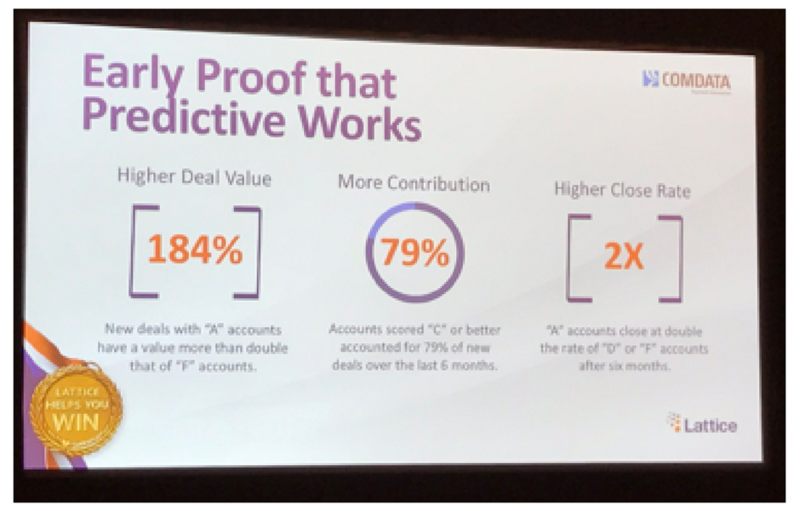 As you can see, he not only revitalized more than a third of them by creating targeted content based on predictive insights, his team saw 17% of them convert to opportunities, when previous attempts had only converted 3%! Thomson Reuters: Another longtime client, Thomson Reuters originally started using Lattice for one use case, retention and cross-sell efforts, but has since expanded into a number of different areas! CMO Alecha Stackle and VP of Strategy, Business Development and Retention Bijal Sheth got on stage at Oracle’s Modern Customer Experience this April to discuss how they used Lattice to originally find ‘super users’ in their customer base that could unlock growth in the existing customer base. The team’s use cases have expanded though, and they’re now using Lattice’s insights for their main lead generation tactics as well! Customer success is the hallmark of a great company, so we’re thrilled to see the many different kinds of success our customers are achieving! If you’re ready to improve the efficiencies of your sales and marketing organizations, and increasing revenue, get in touch with us here.